Stephen Strelkov with the University of Alberta tested soil samples from 27 fields in Alberta that were seeded to resistant varieties in 2014 and showed more than expected levels of gall formation. Of those 27 fields, 15 have clubroot pathotypes that suggest the clubroot in those fields had overcome the resistance trait. 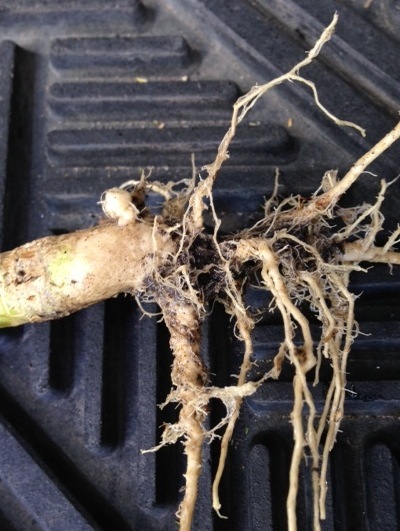 Alberta has started an intense survey to check fields for clubroot pathotype 5x, which is able to overcome all forms of resistance on the market today. The survey will focus on suspicious patches in fields that were grown to an R-rated canola variety. Growers and agronomist who spot suspicious patches in a resistant variety, can contact their County Ag Fieldman to be part of the survey. The point is to map the extent of this new pathotype. In 2013, an Alberta field was identified where a clubroot resistant variety showed a high incidence of clubroot infection. 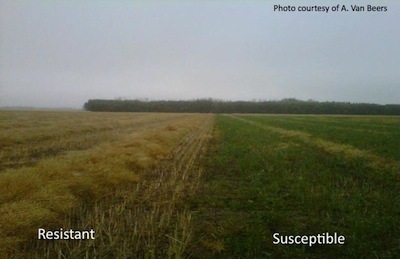 Subsequent testing by the University of Alberta indicated that all current forms of resistance were not functional on the disease in this soil. This failure of resistance or its breakdown was determined to be due the increasing shift to a previously unidentified pathotype called 5x. 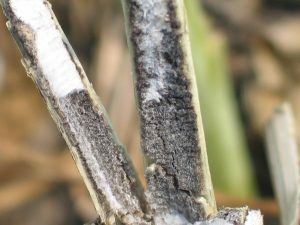 Current clubroot resistance is still functional to the predominant pathotype 3 and the less dominant pathotypes 6, 5 and 8. But this 5x is able to overcome all forms of resistance on the market today. 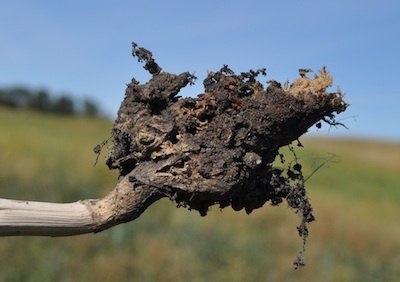 Research has confirmed the presence of a different clubroot pathotype in the Edmonton region and none of the commercially available clubroot resistant varieties in Western Canada are effective at managing it. Stephen Strelkov, the University of Alberta researcher leading this project, has identified other resistance genes that could work, but they are not currently in commercial hybrids. 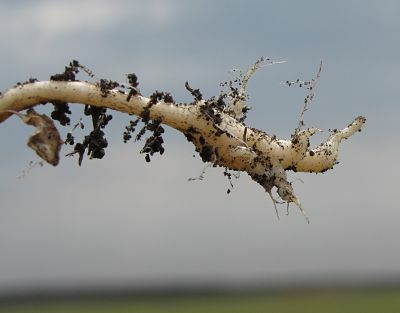 The Canola Council of Canada (CCC) and Agriculture and Agri-Food Canada (AAFC) will bring together a global network of leading researchers and academics to exchange information and research results at the 2013 International Clubroot Workshop in Edmonton, June 19-22. The workshop will have practical value for anyone, including growers and agronomists across the Prairies. 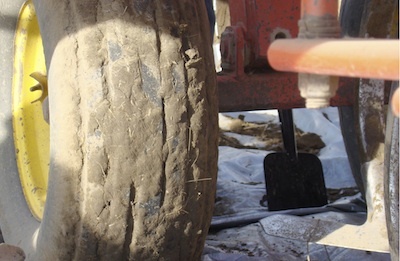 Soil on seeding equipment is a key vector for the movement of clubroot spores from field to field. Cleaning dirt from equipment before leaving a clubroot-infested field is a good disease management practice. 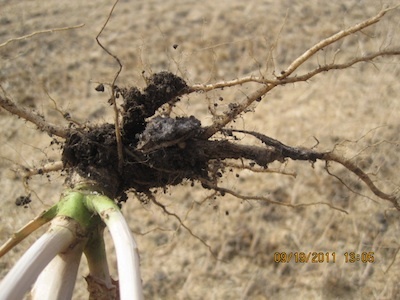 Avoid working in known clubroot-infested fields when soil is wet and more likely to stick to equipment. If you don’t have clubroot, be sure any used or demo’d equipment you buy is clean before you bring it home. Clean equipment before it leaves the auction site or the farm it comes from. Also check that the transport truck is clean. 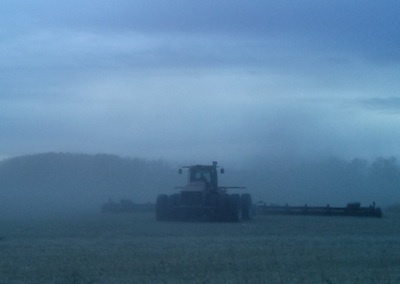 As a precaution, you may want to pressure wash the equipment again when it gets to your farm.